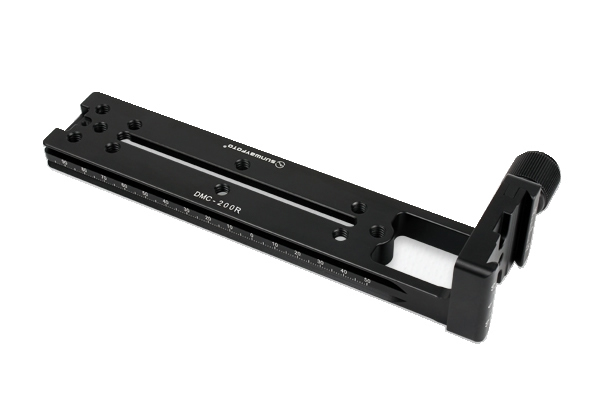 SUNWAYFOTO DMC-200R Vertical Rail with screw-knob clamp, CNC cutting machine from light weight aircraft-grade aluminum, stain anodized surface finish for better abrasion and corrosion resistant. Compatible with all Arca-Swiss style plates. The most important function of this product is used as a panorama component for panoramic photography.